Losslessly convert Protected Music to MP3, M4A with ID tags retained. Enjoy iTunes Protected Musics on all kinds of devices without any limitation. How to convert M4P to MP3 with my iTunes on Mac? Convert iTunes protection music on Mac and preserves 100% of the original audio quality. Millions of people in the world use iTunes to download, store, save and play music on their computer. It is most likely the most widely used music player in the world to purchase music from. A very large number artists put music on it every day. While excellent the only main downside is the fact that all music comes with DRM protection. DRM stands for digital rights management. It is a type of advanced software and control technology with the purpose of limiting the use of digital content and devices after they have been sold. Because of this all iTunes music is protected from being copied or played. Especially onto none Apple devices. This guide will walk you step by step through the process of convert M4P to MP3 on your Mac OS X. 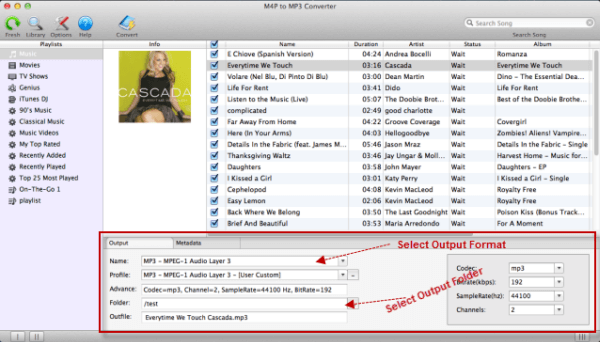 1: Launch M4P to MP3 Converter for Mac. Once the program has launched your iTunes store will automatically start up on its own. 2: Click on the relevant Playlists category for the music which you wish to convert. You may choose a single song to convert or to save yourself time you can convert multiple songs. 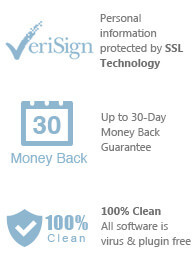 You can also choose a whole list by clicking the check box at the top of the list. Please note: You can use the search function in the upper right hand corner at any time to find any music you are looking for. 3: Select an output folder and destination folder at the bottom of the main window. Profile settings will automatically adjust according to the chosen output audio format you have selected. You may also set your own parameters as well. 4: Once all steps are done and all settings picked simply click the Convert button to begin the conversion process. This will begin to convert M4P to MP3 with iTunes on your Mac OS X. Once the conversion is done you will be able to play the new music file. Music may be played on all apple and none apple devices. All steps are done. Enjoy your newly converted music anytime, anywhere on any device of your choosing. Do this for all current music and any music you purchase in the future. 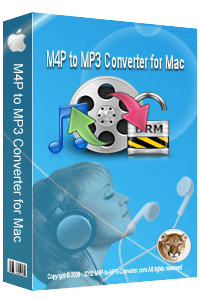 Even if you buy more M4P protected files simply run M4P to MP3 Converter to convert those M4P files on Mac. 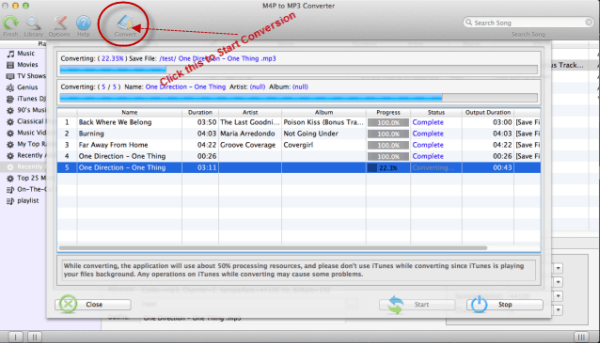 See for yourself just how easy it is to convert M4P to MP3 with iTunes. Mac OS X 10.6 and later. You can immediately download the latest version of M4P Converter from our site and start to trial it right now !